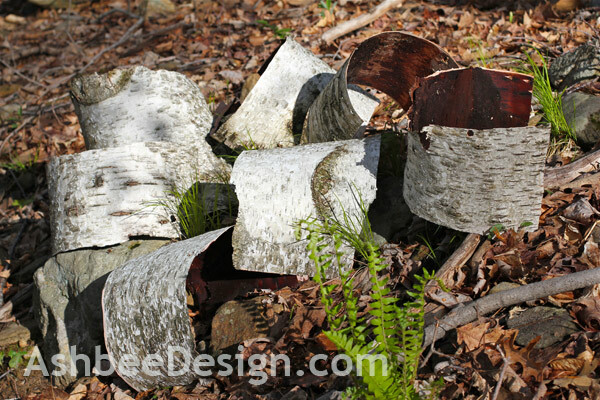 A recent storm left me with another birch bonanza, this time birch bark. 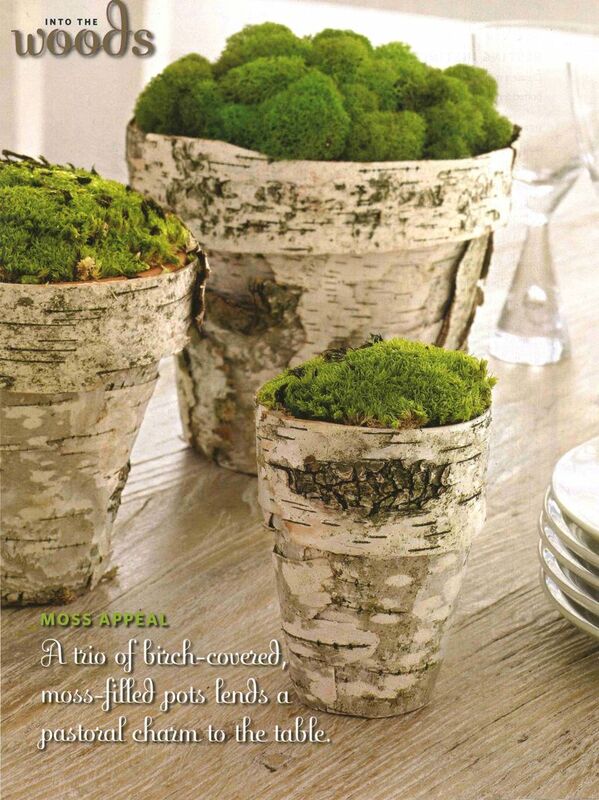 I have been collecting birch ideas from some time in my Pinterest board labeled Birch and some of them are for using just the bark. A standing dead birch tree fell recently and I went out to save the bark for a as yet undefined project. But in the DIY world you gather supplies when they are available, not only when you need them! Yes, we as a group are furthering the hoarding crisis! Here is my new collection of birch bark sheets, shortly after harvesting. 1. I located the recently fallen dead tree. It was bridging our back trail. 2. I identified sections that have large expanses of unmarred bark. 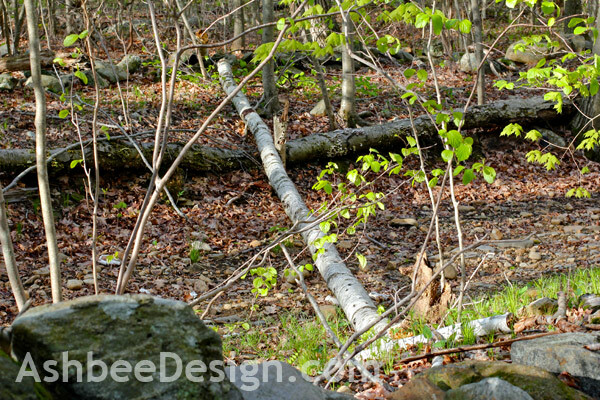 Many places had already seen the attention of a wood pecker and families of bugs. 3. 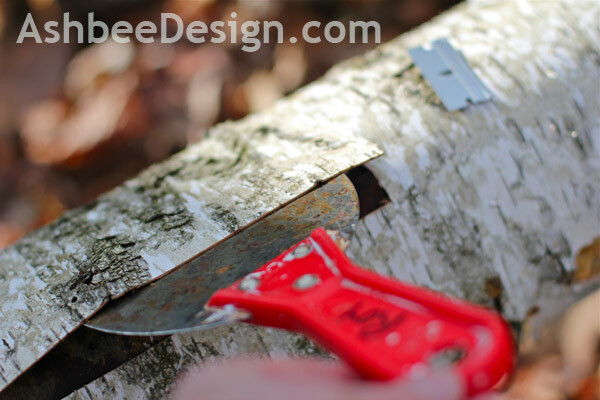 Using a sharp single edge razor blade (utility knife would have been better) I made a sliced along the length of the tree working to cut through the top two layers, both the paper bark and the layer beneath. 4. 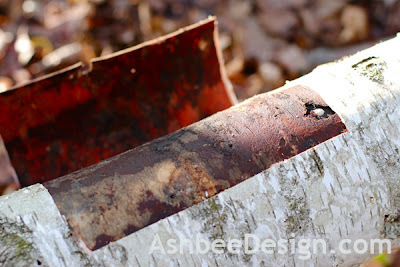 Using a broad blade spackling tool, I worked the corner under the cut and started prying the bark away from the tree. 5. The bark peeled off the tree as I pried with the spackling tool. Work carefuly so as to not cut holes or create tears in the bark. 6. 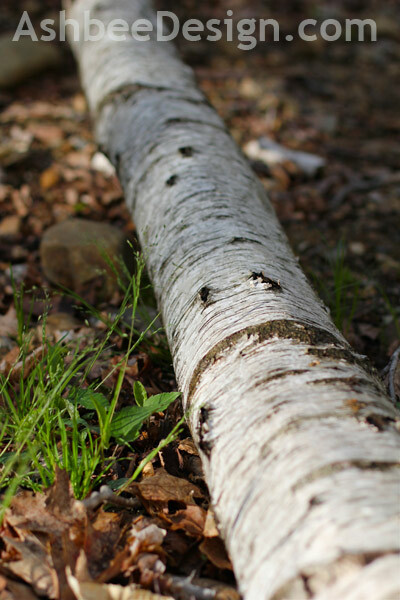 Once you have separated the bark all the way around the log, it will drop off in a curled sheet. 7. These can be washed and dried and then pressed to flattened. This takes time. 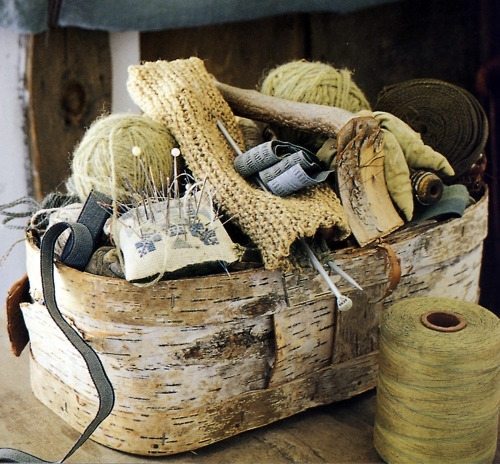 While that happens, start collecting ideas for how to use this special material. 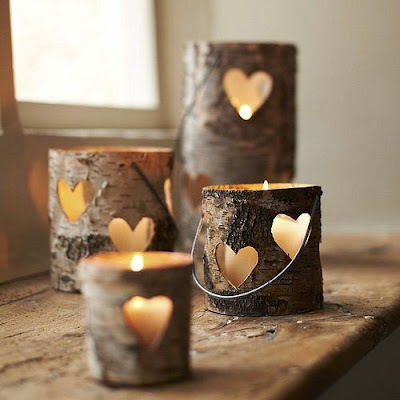 Here are a few that I have in my Pinterest board. Are there tips you can offer on washing the birch bark? I used a tooth brush, a small scrub brush and warm, soapy water. 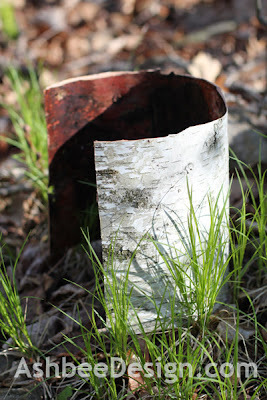 The birch bark is covered with a green mold which came right off. End results were much whiter. This may not be the case in other climates.